Each year Canstar researches and rates the products and eudcational offerings available from our financial insitutions for young Kiwis under the age of 18.With terrific products and terrific functionality and services, Westpac has taken the 2016 Bank of the Year Award for Youth Banking. 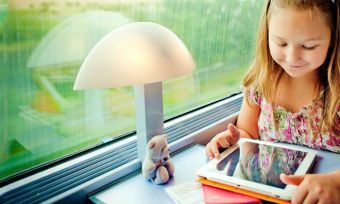 Canstar caught up with the wider Westpac team to find out more about what kids want – as well as some useful savings tips. Q: You offer some terrific online resources for kids – how important is it to engage with them in this space? A: To really engage the digital generation, it has to be done through digital platforms as the amount of time people spend connected to their devices has grown exponentially over the years. We’ve looked at ways we can embrace this generation by offering content online. Geography and other logistical barriers can limit opportunities for people around the country, but digital engagement is a really efficient way to reach out past these barriers to wider, more diverse audiences. Q: Based on your customer behaviour, what resources are popular? A: All of our resources are popular. Articles and clips are great to have as reference materials, and for us to cater for all learning styles it is important to have them available. The interactive resources such as Zombie Cashtastrophe and Cash Critter really stand out in terms of engagement and positive feedback. Taking that extra step creating interactive resources makes it far easier for youth to engage faster and learn concepts in real life scenarios. Q: In terms of your Cash Critter and Zombie Cashtasrophe games, what process did you go through in developing them? A small team of young Westpac employees formed out of shared passion for engaging with youth on financial capability. The team broke down the key concepts that they believed were important that youth had an understanding of and looked at different ways these could be communicated. The team trawled through research on public engagement, financial resources, and went to schools around Auckland to understand directly from the students what would be the most engaging. It became clear that a hands-on approach would be best, so they decided on creating a board game. The Zombie Cashtastrophe game was developed over 4 months through intense workshops, and was piloted at the InZone Project (An educational programme to get underprivileged youth into the in zone school areas). The response from InZone was overwhelmingly positive, and with their feedback the game was further honed. The final game has been taken out to schools all over New Zealand with workshops delivered to around 1000 students. Through a zombie survival scenario players gain experience in saving, borrowing, budgeting, compounding interest, investing and insurance. Best of all you can even download it from our website for free. Some of those stats around financial literacy were quite sobering, and we decided that we wanted to help kids with this. Westpac Australia had an app with a similar concept (Pay Pig) which rewarded kids for completing their chores. We decided however that their app experience lacked the gamefication aspect that we believed was needed in terms of engaging and targeting the under-12 year old age group. To this point, we embarked on some user research with our app partners Alphero whereby we spoke with parents around their kids’ device usage (frequency and what they use it for), chores, pocket money and how their kids are paid. This formed the basis of the Cash Critter app. We incorporated other aspects of the Westpac NZ kids savings proposition (i.e the chopper that we have as a physical money box is also present in imagery within the app) into the app. Q: Managing money in the teenage years can be tricky – do you have a few top tips for teenagers on money basics they should always remember? Look at how much money you spend on ‘needs’ vs. ‘wants’ to help you set a budget. Find out how compounding interest can impact on your savings and your borrowings. Squirrel some money away for a rainy day, it’s better to not need it and have it than to not have it and need it. If you have particular aspirations set yourself goals with milestones along the way. Take a look at some little things your purchase like coffee, lollies or the movies and overtime what this adds up to. It’s surprising what some of us spend on chocolate over a year! Canstar congratulates Westpac on winning the 2016 Award for Bank of the Year – Youth Banking. 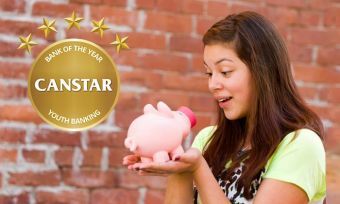 Compare Youth Banking savings and transaction accounts with the Canstar Award report, and see if you and your tweens or teens can’t find an outstanding value option. 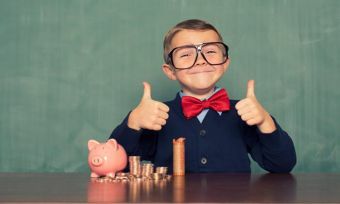 Signing up for an account now could set them up well for a future of learning to manage money well.